If you frequently fly from one part of the world to another, you know that flying can take a toll on your skin, lips, eyes and even hair. 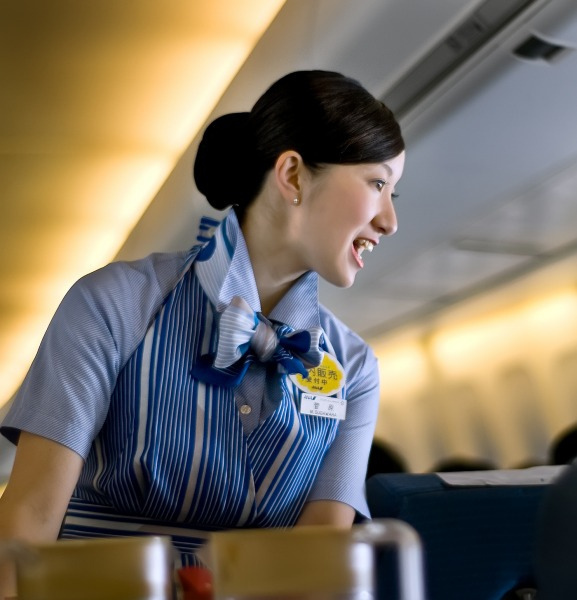 So when it comes to expertise, flight attendants and pilots are the best persons to ask for tips and advises. Below are five of the best frequent traveler’s advice. 1. Drinking water is a must. According to a flight attendant (name withheld), if you are traveling by plane, you should drink one liter of water for every six hours of flying. The air inside the plane can be cold and dry, which can dehydrate the skin quickly. This is caused by oxygen pumped into the cabin combined with high altitude. This can also dry the lips as well as your hair. 2. Apply leave-on conditioner before your flight. As mentioned previously, in-flight conditions can leave the body dehydrated. To retain your hair’s moisture, apply leave-on conditioner before boarding. If possible, cover your crowning glory with a scarf to keep the moisture in while flying. Now you never have to worry about dry, frizzy hair anymore. 3. Slather on some lotion, facial cream and lip balm with SPF. It may be cool inside the plane, but the fact is, you are nearer to the sun’s harmful UV rays. For this reason, your skin and lips still need the protection against the sun, especially if you are positioned in the window seat. UV rays can cause wrinkles and can even increase your chances of developing skin cancer. Apply lotion, facial cream and lip balm with a minimum SPF 15. Re-apply every two hours. 4. Pack an eye gel or drops for your peepers. Traveling can sometimes irritate the eyes, especially if you are wearing contacts. To prevent dryness and irritation, bring some eye gel or drops to provide lubrication for your eyes. For those who are using contacts, it is advisable that you temporarily switch to eyeglasses for the duration of the flight. 5. If possible, take a rest during the flight duration. It could be quite difficult to sleep while in-flight, but the best way to stay refreshed and rejuvenated is to take a rest so you would not feel tired when you arrive at your destination. After arriving at your destination, get enough rest as much as you can too. Nothing beats the quality of sleep you can get from a good old bed. Finally, the Transportation Security Administration’s (TSA) 3-1-1 rule states that all liquids, gels and aerosols brought in during flight should be stored together in a one quart, transparent zip-top bag. Only one clear bag is permitted per passenger. All other liquids, gels and aerosols should go in together with your checked-in baggage. The rule applies only to carry-ons. Pretty sure though that as a frequent traveler, you already know this.